The World Othello federation And Office Wish You A Happy 2017! 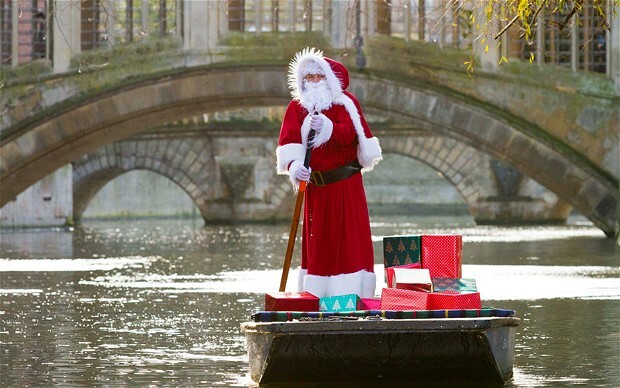 This Sunday a new year begins! A new exciting Othello year, 2017! 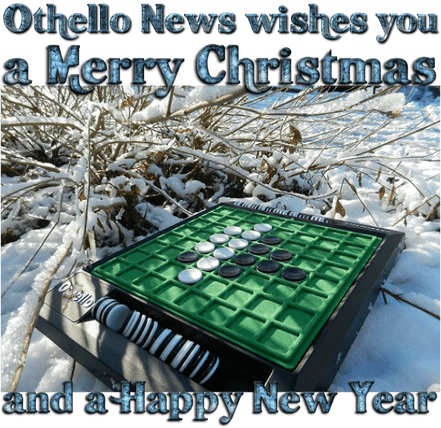 We in the World Othello Federation hope that this coming year will be a new start to make Othello more popular worldwide. 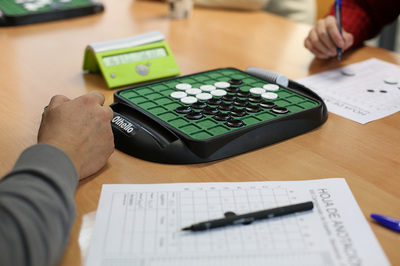 New licensees will start working on selling Othello in stores in many countries. 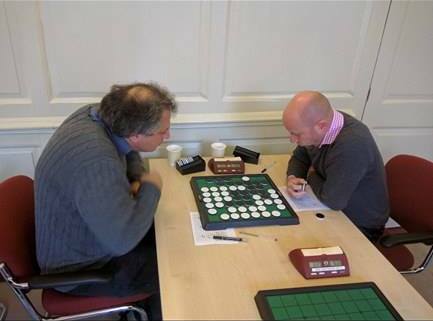 They will do everything to make the game Othello better known. And the more Othello becomes known, the more players want to get in touch with associations and start playing Othello! What can we Othello-players do? We can participate in tournaments, organizing tournaments and spread information about the game Othello where we live. Therefore, you will be extra needed the coming years! The Othello community needs you to show that there is Othello interest worldwide, especially where you live! 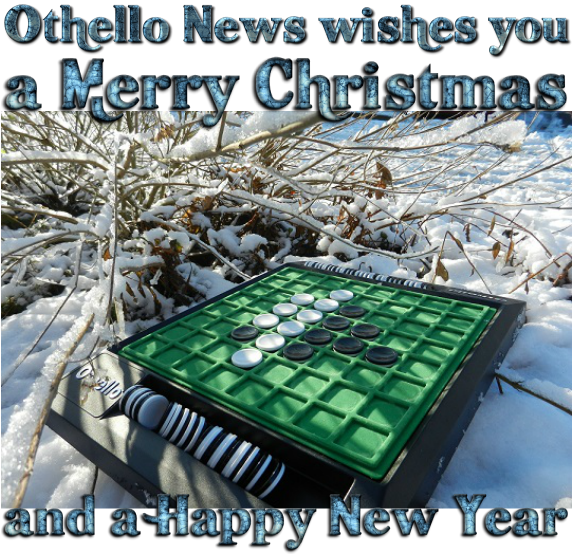 We ask you to be committed in 2017 and show that there is Othello Players worldwide. 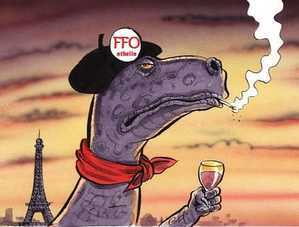 We in W.O.F. 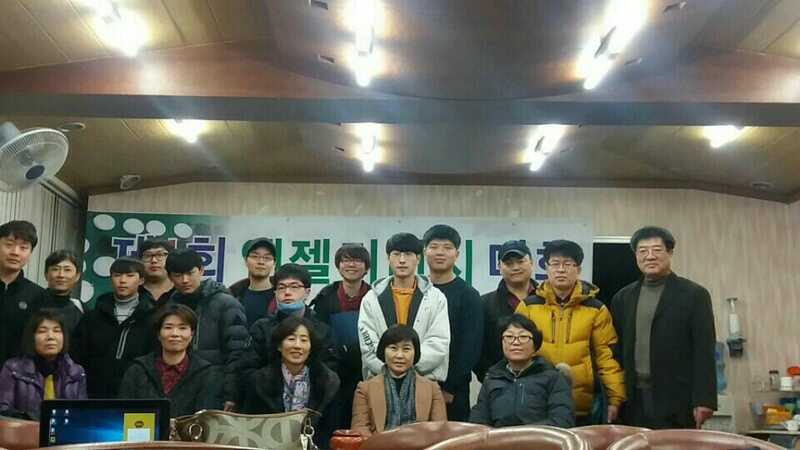 council will do our best and work hard to provide support to all unions. But you are needed! 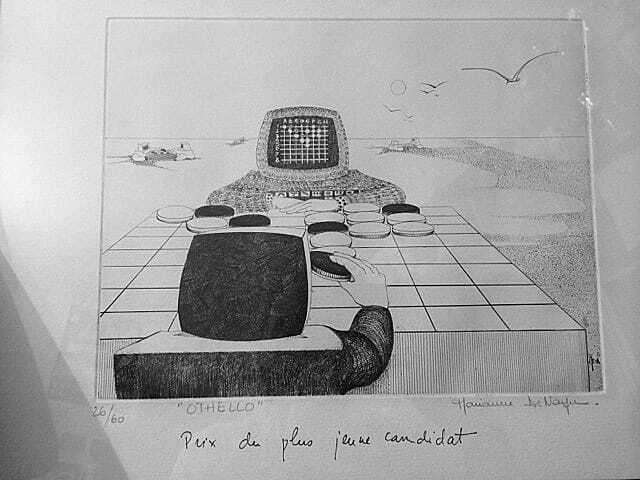 For you are an Othello Player! And without players, no events, no tourneys, no new players. 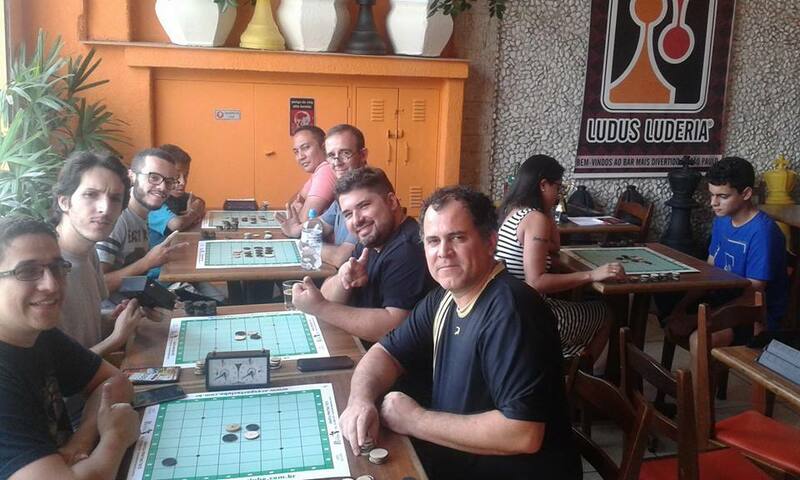 We hope to see you participate in many tournaments next years, and also in other Othello-related activities. Maybe you also can organize a tournament where you live? 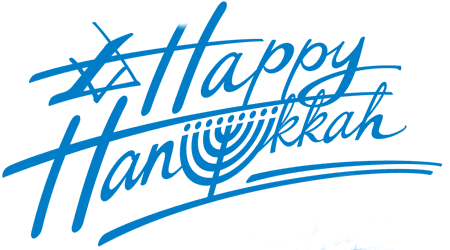 We look forward to a fantastic Othello year together with you! 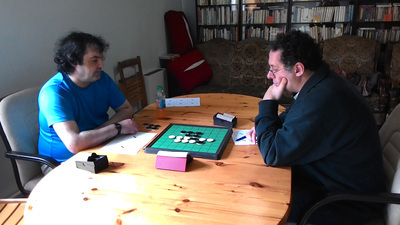 Emmanuel Lazard participated at a tournament for computer programmers in September 1981 at the age of 13. As far as he can remember, his program won 2 or 3 games out of 7. One of the wins was against a pogram developed by Jaques Ovion. 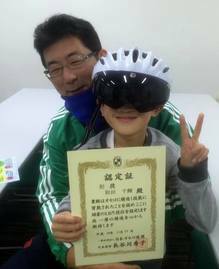 He was presented with a beautiful lithograph, award for the youngest competitor. It stands on his deks till today. 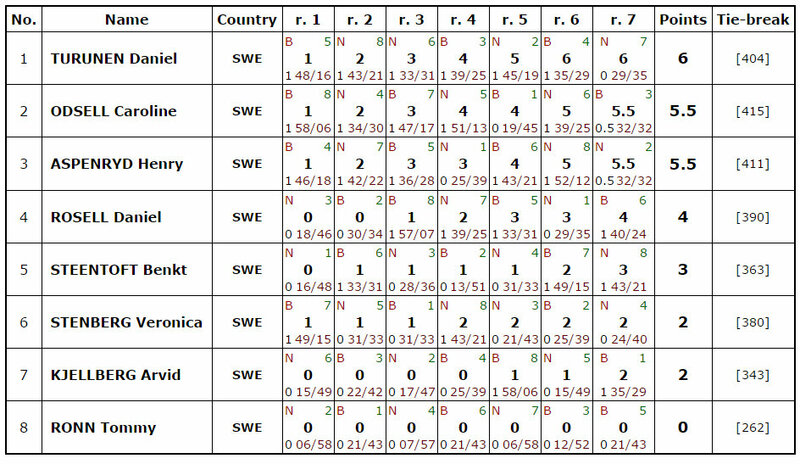 Danielle Yosifovich won 4 games and only lost in round 2 against Ohad Eyal. Second place for the next generation Shifman in Othello, Michael Shifman. After a wonderful WOC in their town last November, Mito Othello district had its final tournament of the year on December 25th. 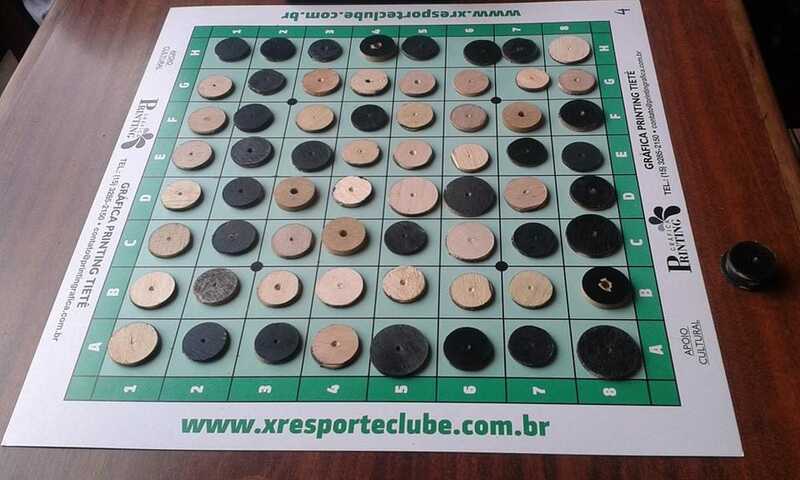 A staggering 18 round tournament! 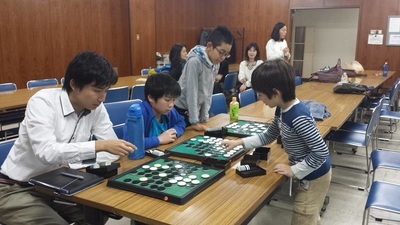 Takanori Oshimizu won the tournament with 14 wins, 2 losses and 2 draws. Second place for Kazuhito Nagashima who scored 12 wins, 4 losses and 2 draws. 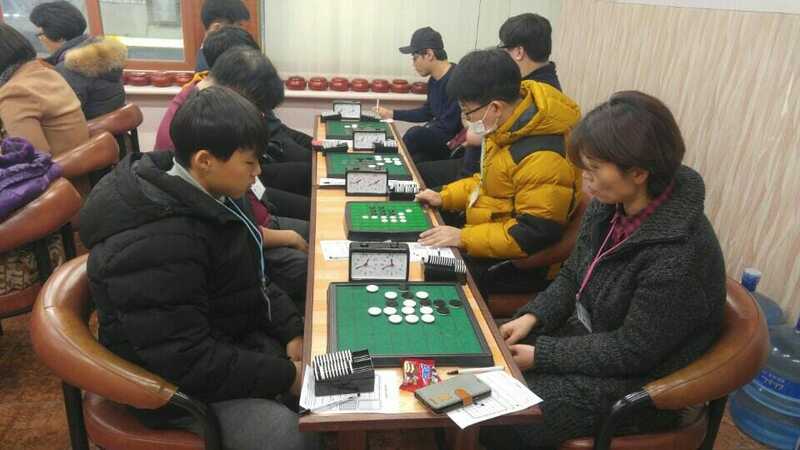 Tourney format: 5 rounds, 20 minutes,16 players. 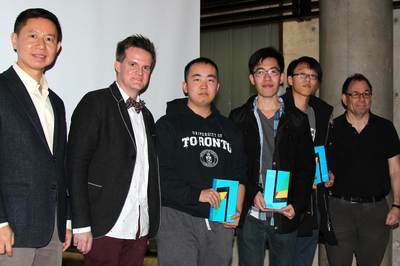 ​Edward Y. Liu —the proud winner of this year’s APS105 Showdown. The APS105 Showdown—currently in its third year—is an annual event where students of the first year computer programming course, APS105, write software programs to compete against each other. 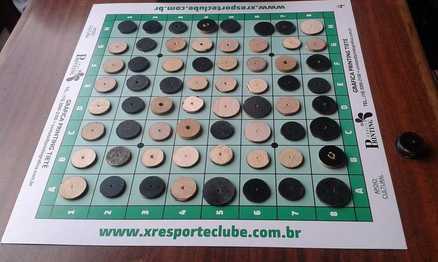 This year, as part of the course, each student wrote an algorithm to solve the complex Reversi game. Eight finalists were selected out of the 38 who made it past the rigorous selection process. 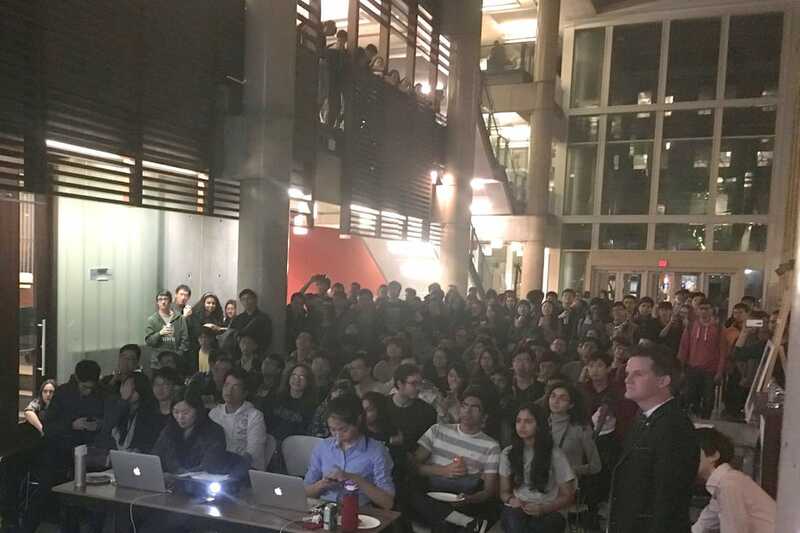 An ecstatic crowd massed in the atrium of the Bahen Centre for Information Technology on the evening of Dec. 3, 2015. 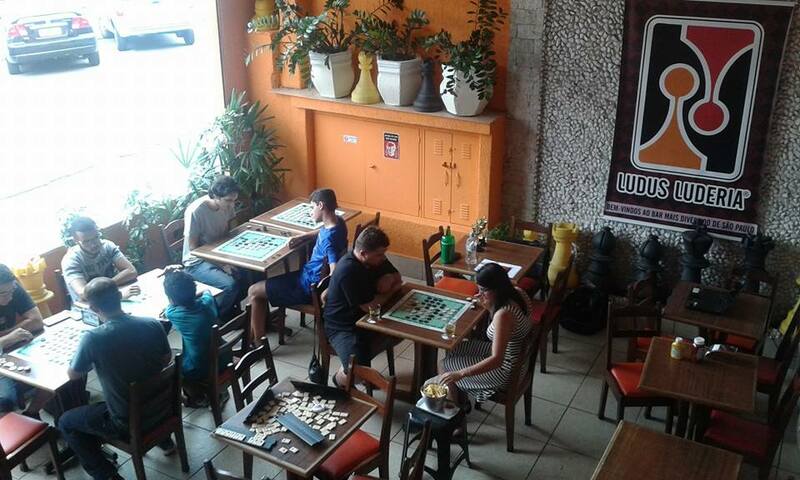 Spectators enjoyed pizza and pop as they cheered their favourite players on. At the end of the semi-finals, Steven Shizhang Yin and Liu’s names were on everyone’s lips as they were both unbeaten. Their faceoff would be the much-awaited bout. 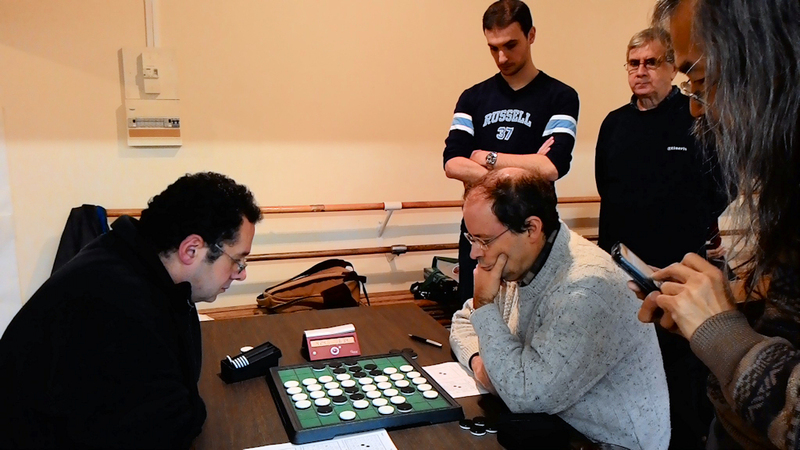 Yin and Liu are good friends who shared ideas and played their programs against each other prior to the competition. Liu said he had never beaten Yin and his motivation to do so just once might have been instrumental in his winning. 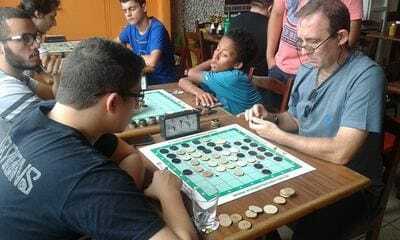 His persistence paid off as he won one game against Yin to tie off their winnings at five each. Liu captured first place with an average program-thinking time of 698 milliseconds against Yin’s 834milliseconds. Ivan Co took home third place. 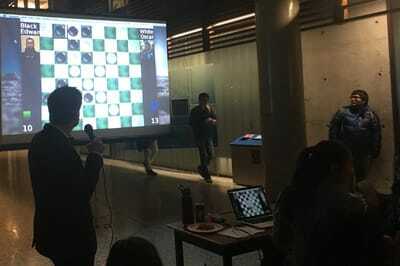 Hundreds of students gathered to watch Steven Shizhang Yin's program battle Edward Liu's program in the grand finale of the REVERSI software showdown. The new design of the Othello News website is not just a new look, the main goal is to make the website more accessible. The spectrum of screen sizes and resolutions is widening every day, and that problem is resolved by responsive web design. Othello News on your computer, laptop, tablet, phone an maybe even on your wristwatch. As always, when you solve a problem, there is a chance that you create new ones. Mail me, I love to receive your comments and will address any problems as soon as possible. 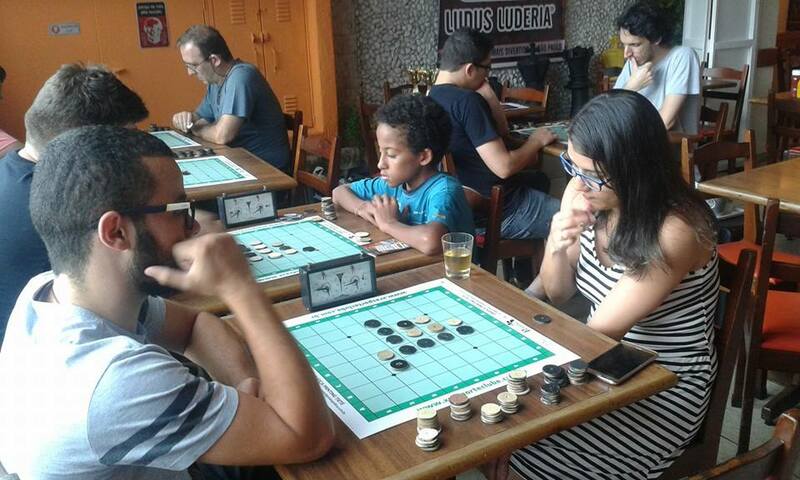 Fabricio silva wins Torneio de Othello "Ludus di Natale 2016"
Ten players at this Christmas Othello tournament in Ludus bar in Sao Paulo this was a tournament to celebrate a year of many achievements for the sport. Once again the champion was Fabricio Silva. 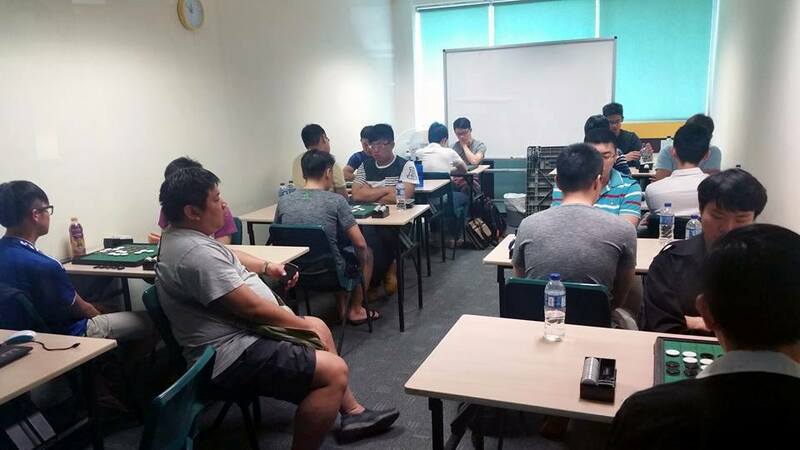 Singapore Othello Masters Series is underway! Due to some unforseen circumstances, Alex Koh and Sky Chong couldn't turn up due to illness. Ching Wuen steps in after he couldn't make it initially. Some post-WOC catch up over here with the players. 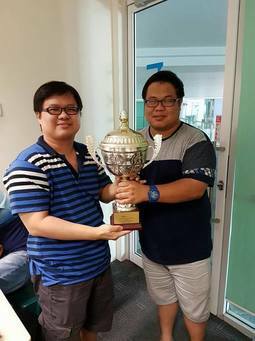 Hakim steps up to Division One while Ming Han is the new entry for Division Two. After an uneventful first round, round two pits Koh "I-will-not-lose-in-singapore-anymore" Bo Xiang vs his nemesis Leong Chee Kit. After a very interesting fight Chee Kit won 34-30. Hoping to post a transcript up soon. Singapore Othello Master Series results. Leong Chee Kit wins division one! Ngiam Zhen Wei wins division two! 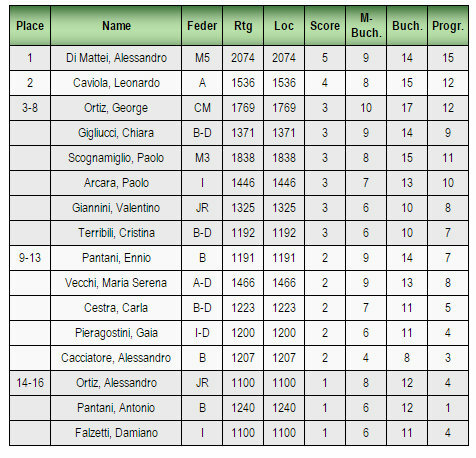 Aessandro won all his 5 games. He started the tourney with a very comfortable 64-0 win against Antonio Pantani. His other opponents did not do much better. 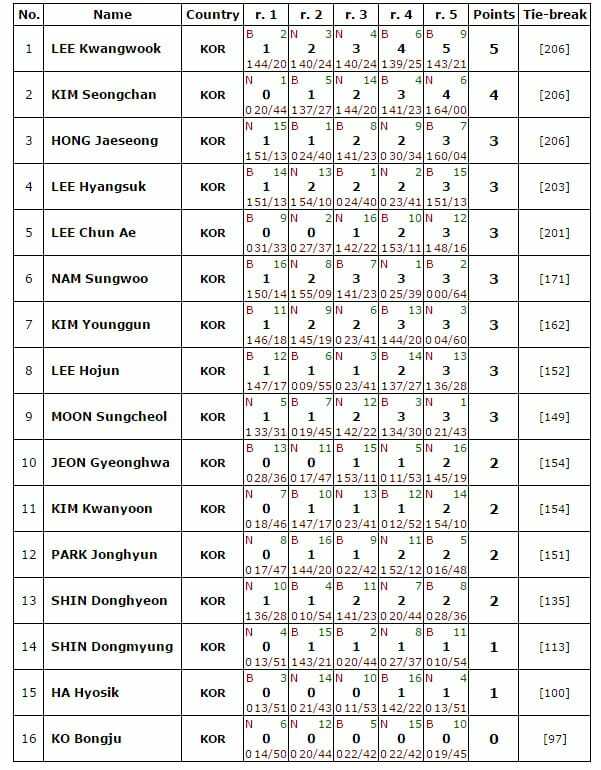 In total his 5 opponents won only 58 discs. Leonardo Caviola is the overall winner of the Città di Roma 2016. He collected points in all 5 stages. Congrats Leonardo! 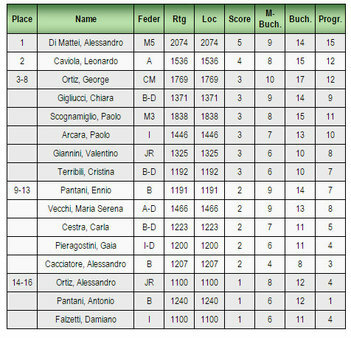 I am very happy to have won the "City of Rome Grand Prix" where I played along with many Italian champions (Di Mattei, Sperandio, Marconi, Scognamiglio) often participants W.O.C. Additional happiness to have played with daily friends like Pantani brothers (Ennio and Antonio) and strong girls Maria Serena Vecchia and Chiara Gigliucci. 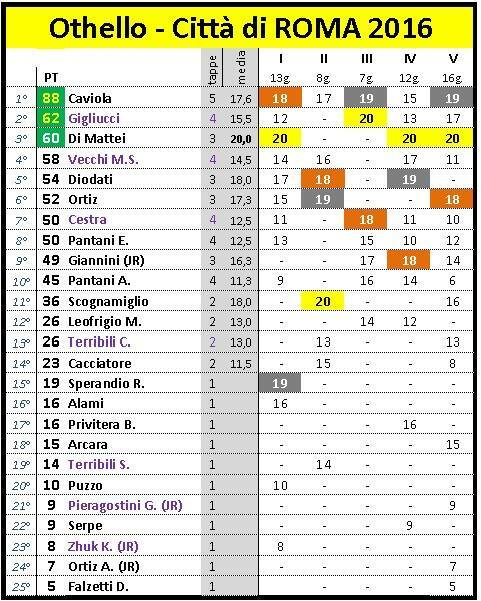 -the third stage I lost to Valentino Giannini, I think he is the strongest juniors in Italy with a great future. 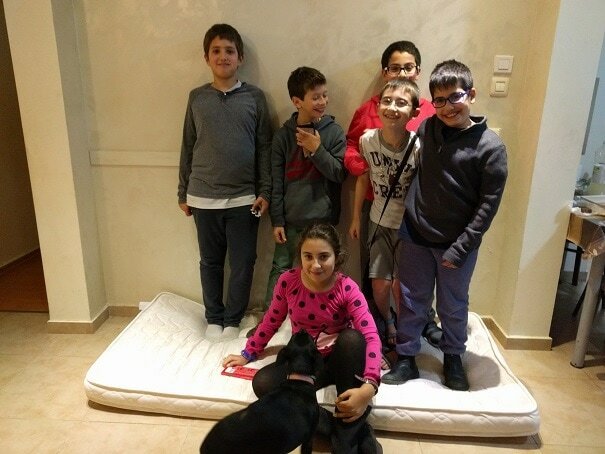 -in the 4th stage we raised money for the earthquake emergency in Central Italy. -at the last meeting of the last stage a win (39-25) against George Ortiz (AUS) an international player. Yoshinori Umezawa won with 5 wins, no losses. 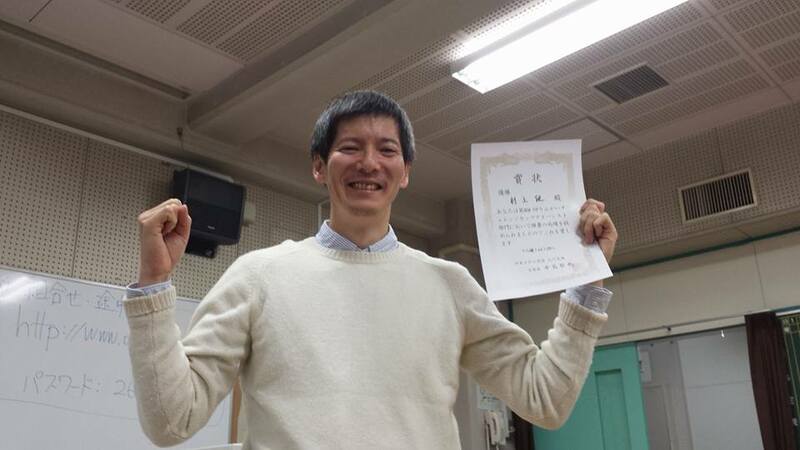 Second place for World Othello Champion 1985 and 1994, Masaki Takizawa who won the 70th Niigata Open earlier this year in April. A very small tournament at Sendai with only 4 players. 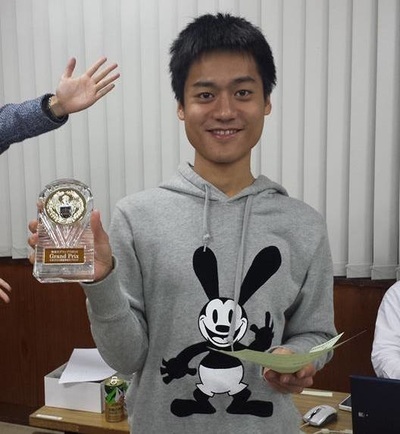 Takamune Iijima was the best player at this tournament with 5 wins and 1 loss against Chiaki Wada who is the younger brother of the 2016 Junior World Othello Champion Masaki Wada. A nice selection of Plowmans and Brands at this tournament. 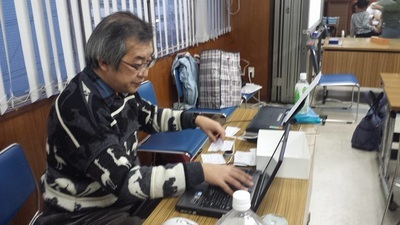 ​Takuji won the FFO's last tournament in 2016 with a perfect score of 5 wins. Second place for Stéphane Nicolet, who worked so hard in Mito at the WOC. Maybe he picked up some tricks from all the hundreds of game transcripts that he made available for all of us online? He shares the second place with Marc Bertrandias. The Christmas touch was added by lots of clementines and chocolates. None to be seen on the pictures that Andriani sent me. 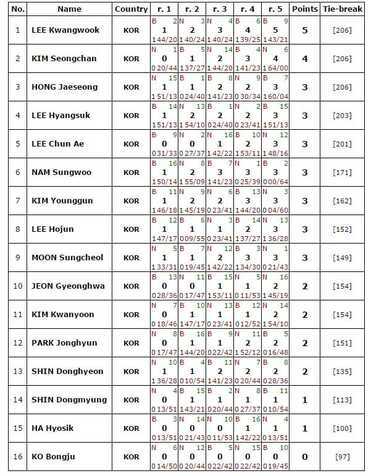 Did they eat all even before the first round started? 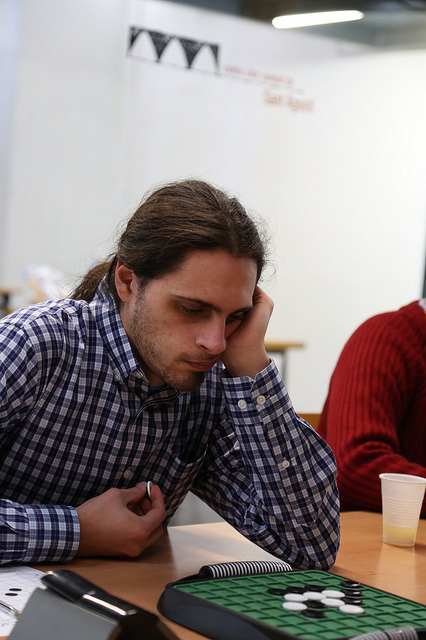 Five players at the 13th Spanish Championship Othello. There was no Spanish Othello Championship in 2015. The 2014 edition was won by Borja Moreno. A list of Spanish National Othello Champions since 1992 can be found here. 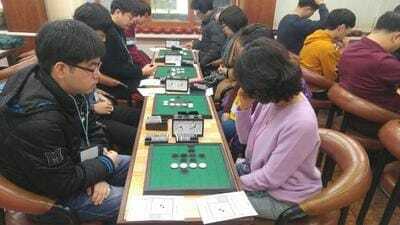 11 players came to Shinagawa for Advanced division. Also, 11 players for Intermediate division. 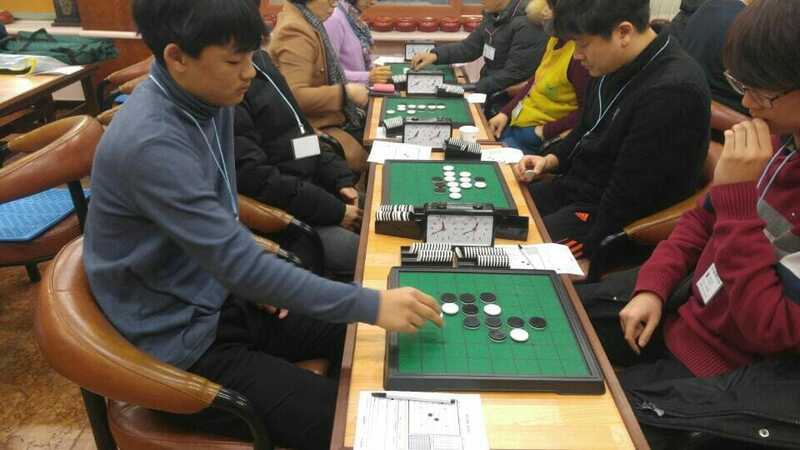 Winner: Takeshi Murakami 5 wins, 1 loss (against Yuichi Hishiyama in 3rd round). 2nd: Yuichi Hishiyama 4 wins, 2 losses (against Tetsuya Nakajima in 4th round and Masao Inoue in 5th round). 3rd: Yukiko Tatsumi 4 wins, 2 losses (against Yuichi Hishiyama in 1st round and Kunihiko Tanida in 3rd round). 4th:Tetsuya Nakajima 4 wins, 2 losses (against Masao Inoue in 3rd round and Takeshi Murakami in 6th round). 5th: Masao Inoue 3 wins, 3 losses (against Takeshi Murakami in 2nd round, Makoto Suekuni in 4th round and Yukiko Tatsumi in 6th round). 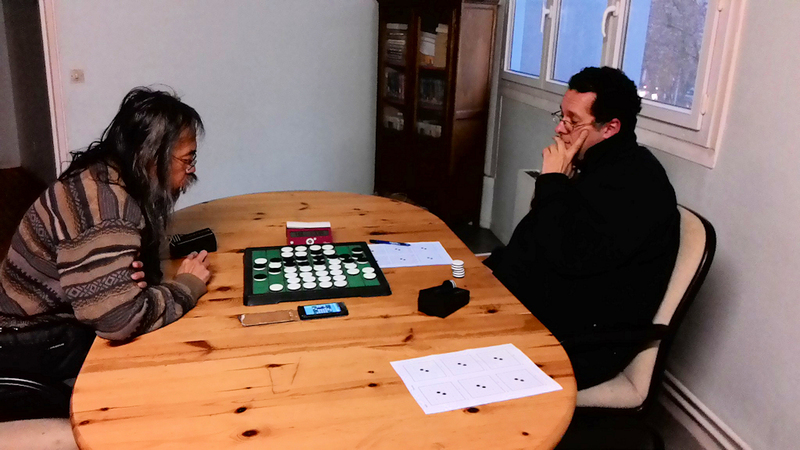 Rintaro Nakamura wins with 5 wins and 1 loss. He was promoted to 2 dan. 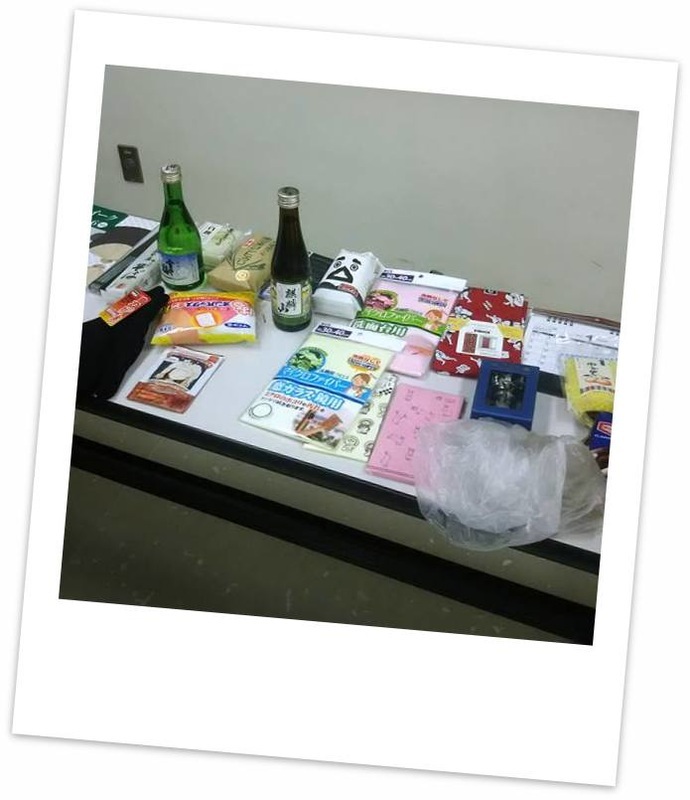 32 players came to Kawasaki for this tournament. 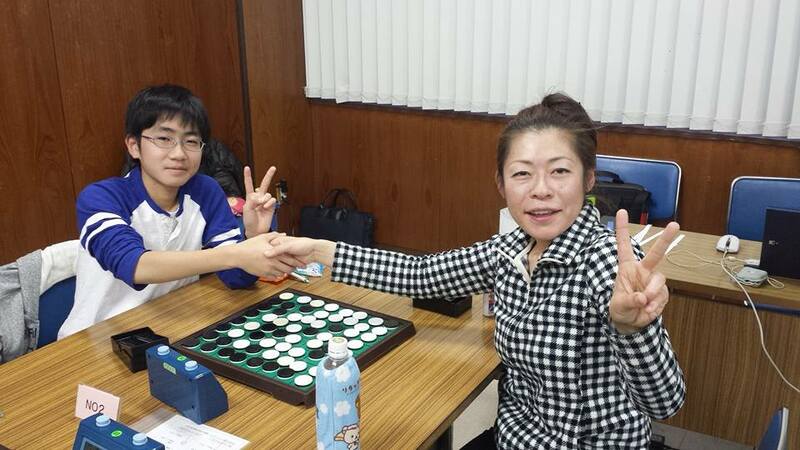 Yukiko was the best player at this tournament with 5 wins and 1 draw. 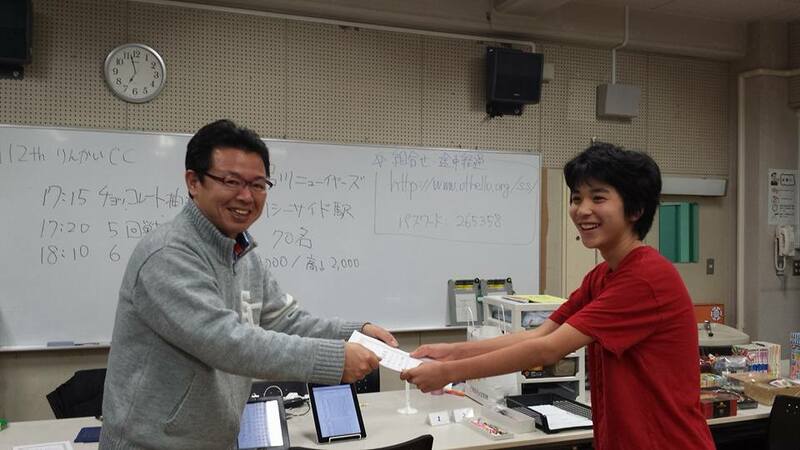 Runner-up was junior player Keisuke Fukuchi who had 5 wins and 1 loss. Yuichi Hishiyama won the Kanagawa Grand Prix 2016. This award is given to the player who scored best at the Kanagawa tournaments in 2016. Othello News can not tell you what happened The Night Before, but....... 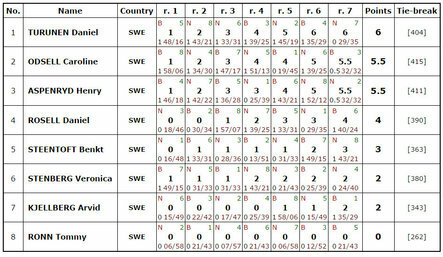 The Morning After Tournament was won by Imre Leader with 7 points. Runner-up was Roy Arnold who scored 5 points. 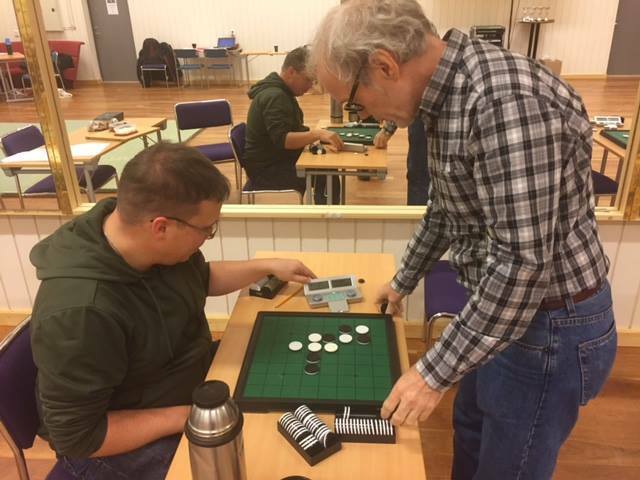 A great and fun weekend in Jönköping with events and tourneys in Othello, Go, Renju, Go-moko, Pente, Mathematics, Memory, Sudoku, Crosswords and more. It was a small but fun festival that will certainly expand over the next years. 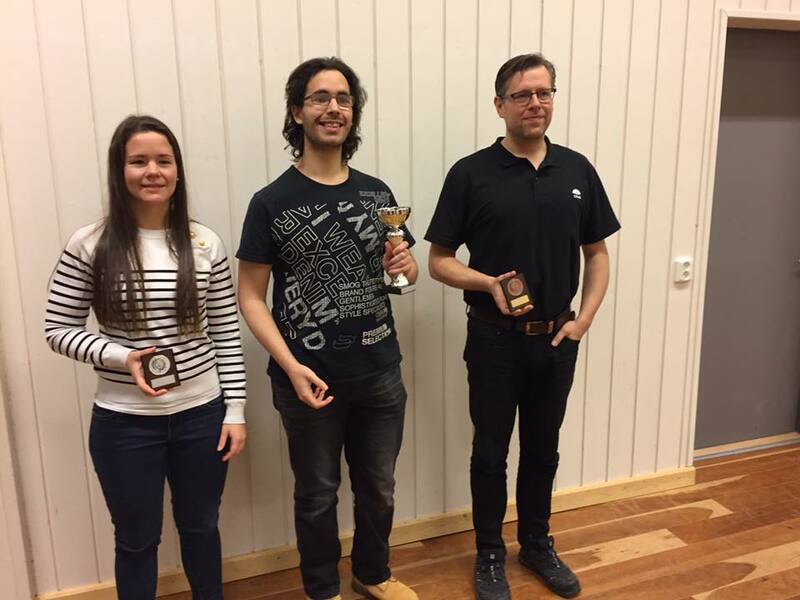 Daniel won his game in the first 6 rounds of the regular Othello tournament but lost against Arvid Kjellberg in round 7. Just a half point behind him Caroline Odsell and Henry Aspenryd who played a draw in round 7. 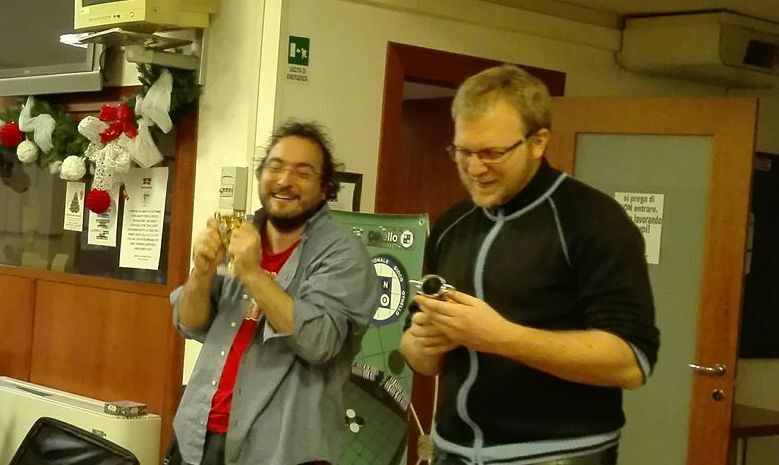 Benkt Steentoft ended 5th in the regular Othello tournament, 2nd in XOT Blitz, his biggest succes this weekend was winning the Pente tournament. No, Benkt, I will not start a Pente News website!!!! !